1) Any Facebook reference to privacy means you’ll have less. 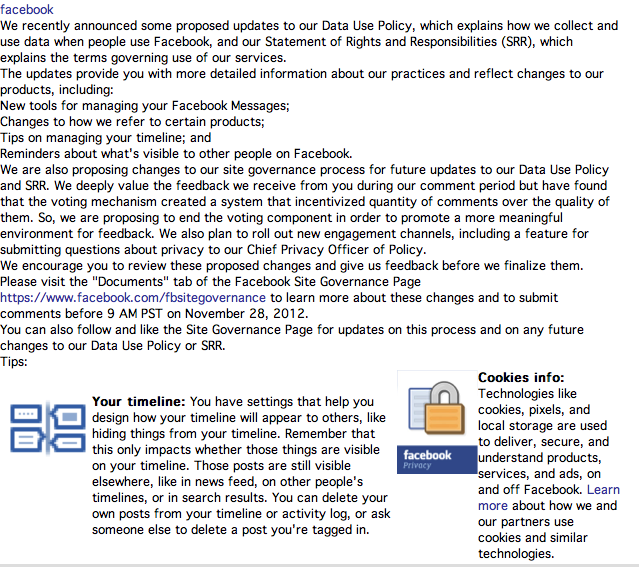 2) Protest all you want, but Facebook is a master of two steps forward, one step back. 3) Mark Zuckerberg is the Data Suckah of All Time.